Some was trying out a new job, some was trying to get a new home, some – new relationship; and for most of us Muslims we are trying to get the right friends who can cheer and hold our way to finding Allah. It is never easy to start the change. Change from never performing salah to actually completing 1 time of prayer. Change from ignoring our parents to actually care for them. 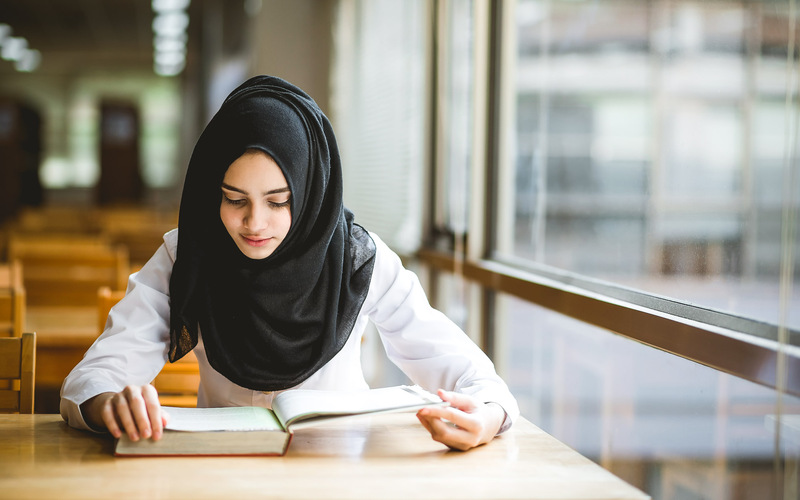 Change from wearing that short skirt to a longer one – and if one’s talking about wearing hijab? Phew! That would be even harder! Now, are we ever going to make it through this new journey? The journey to change for the better. Not how people would describe what is better, but how we would measure our own description of better. Because only we ourselves know what is better for us. We have got to make lots of du’a to make it happen. Realize it or not, we’ve been making du’a at least 5 times a day; asking Allah to make us among those on the right path. “Guide us to the straight path”, because we understand that everything happens because Allah says so. So, we have to want to want it, and we have to ask Allah to make us want it. Recite and study it. Because the Quran is the ultimate mankind’s guide. This is like when you bought Brand A’s washing machine, you’ve got to study it’s manual. Not Brand B’s washing machine. It won’t work at its best. In fact, you might ruin it and beat the purpose of having a washing machine. If you only keep your Quran on the bookshelves; let it sit there and be pretty, it won’t do any good to you. If you just recite it and not even know what it’s been saying – you’re still not doing good for yourself. Enrol yourself with classes that discuss the content of the Quran. Then it’ll strengthen your understanding of deen and make you stand firm on why you do what you do. Not just because someone says so. What’s next? Walk the talk. You’ve got to put into practice what you’ve learned. Remember, Allah looks at the effort, never the end result. Once you make your step to put things into practice, you’re already a winner! Oh, wait! Can we do this alone? Maybe! But with companionship, we can do this, better Insha-Allah! The right companionship, of course! Never neglect the importance of having good friends around you, showing ways to do better in life, in finding Allah. Holding your hands and doing all these together. Listening to your troubles, laughing together. Like it or not, your friends reflect you. They somehow would influence how you think, how you act and how you live your life. Choosing a good companion is crucial. It doesn’t mean you have to leave your old friends who are still stuck with an old way of life. Never leave them. Support them, make du’a for them, but as human, we do need to have the right guide to continue living the life. Make new friends, those who’d be making du’a, reciting and studying the Quran, practising Islam and wanting to surround themselves with good friends like you. Be a good friend to have a good friend too! I found mind through usrah – a study circle consisting of not more than 10 regular people; where we discuss the Quran and Hadith and listen to each others’ story of life and try to help each other out should there be any trouble, go for a trip together and so much more! All you have to do is to remain persistent. Keep doing what you’ve been doing, you’ll get there eventually. Don’t look at others and how they did what they did, measure yourself at your own interest and strength. Maybe we can’t do much, but it’s better to do something rather than nothing. All the best finding your support system!